Home Can I be an Ironman? 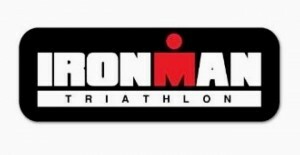 Can I be an Ironman? Ironman. Nothing to do with Robert Downey Jr but 2.4 miles of swimming. 112 miles on cycling. 26.2 miles of running. Back to back & in under 17 hours. If you’ve tried any distance of triathlon then you have no doubt heard of this mythical beast & no doubt met some Godly creatures who have conquered it. At Trivelo we have one of these rainbow flavoured unicorns in our midst who has climbed the summit three times and doesn’t let the rest of us forget with his ironman mug, hat, bag, t-shirt. You get the picture. But what makes you “iron-ready”? Could you too achieve this monumental achievement and join this exclusive club? My triathlon record is made up of various Sprint and Olympic distance events with one successful half-iron to stretch my legs but no Iron medals in the cabinet. This leaves me annually asking the question “could I go long”? Triathlon seems to sucker you in more than any other sport to anchor for this killer event. Sure runners often gravitate towards marathons but not many newbie Park runners start reading up on the Iron War dreaming of Kona. So why do I keep beating myself up with this question and what will drive me to the outcome that the answer is Yes, or equally that the answer is definitely No and that I need to let it go. I know first hand how much training will be needed as merely finishing won’t cut it for me. If I’m doing it then I need to compete and give it a proper crack. I’m not kidding myself here that a podium finish is in reach but if I’m in then scraping through cut-offs wouldn’t be fun for anyone. So if your asking yourself this same question these are the questions I ask myself each year and until I can answer all of them with a yes I will continue to be haunted by the spectre of Ironman. Can I squeeze 12 hours of training a week into my life for at least 6 months leading up to the event? Will my body (in particular my knees) cope with marathon distance running throughout my training plan? Am I ready to set the alarm for 5am every Sunday to fit in that long ride session? Will I have the willpower to skip every social event and go dry for months on end? Do I really think I can drag the family through me being obsessed with Ironman for the whole year? Can I justify the cost of entering, new kit I will lust after and training events I will convince myself I must do? So if your flicking through Triathlon 220 and can’t shift the thought of ironman from your mind maybe work through this list and see if you score a Yes for all of them. If not then maybe this isn’t your year and you would be better setting your sights on a lower target…until next year! About the author – Billy is the founder of Trivelo Bikes having been on the triathlon journey for the past 5 years taking a very gentile route through to Ironman. Maybe.